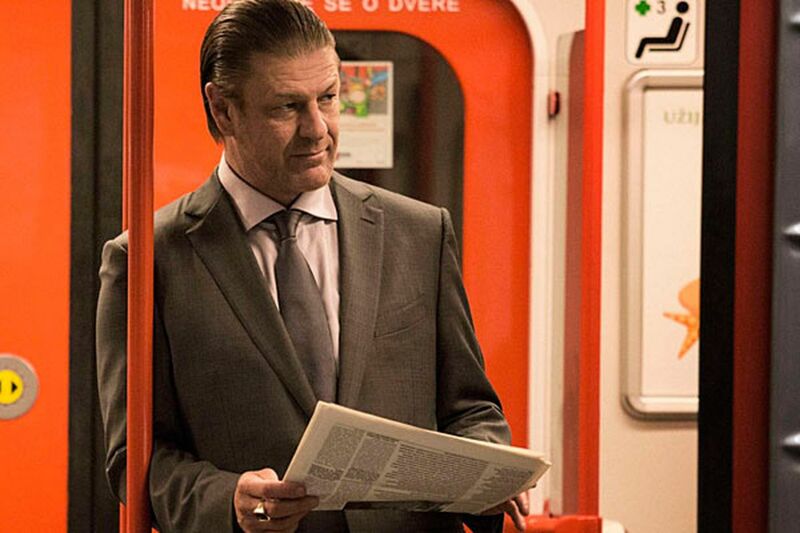 Sean Bean stars as Martin Odum, who is hunting for his true identity while on the run for a murder he didn't commit. I offer greetings, gratitude, and a hearty salute to the makers of TNT's Legends, who have busted the espionage thriller wide open for its second season. Legends stars Sean Bean as a mysterious Jason Bourne-like figure who has two decades of experience as a covert operative but no clue to his real identity. Season Two premieres at 10 p.m. Monday. I liked it last year, and the first three episodes of the new season excite me. Viewers don't need to see the freshman season to enjoy the show, but it helps to know the basics. Based on Robert Littell's novel, Legends debuted as a solid, above-average procedural about FBI agent Martin Odum (Bean), whose sense of self begins to disintegrate after serving as an undercover officer for nearly 10 years. Could Odum himself be a cover identity, a legend? He begins to ask too many questions and gets framed for the murder of the bureau's head honcho. This year, the show goes global in a big way. Odum's in London in search of clues about a British spy named John Cameron - the person he thinks he may have been in real life. He has flashbacks to an English boarding school, where he was routinely caned by a demanding history master. He must be Cameron! For real. Really. Trouble is, MI6 officer Cameron also worked undercover, infiltrating an ugly assortment of criminal organizations. When it comes to Legends, reality is simply an endless chase filled with hand-to-hand combat, guns, spying, and melancholy ex-lovers. As Odum's search progresses, we get flashbacks to one of his European legends, Prague gangster, drug trafficker, and assassin Dmitri Petrovich and a Chechen woman, Ilyana Crawford (Klara Issova). Was she Dmitri's lover? Did they have a daughter together? How come she's living in London now - drawing death benefit checks under Cameron's name? Morris Chestnut returns as FBI agent Tony Rice, the only man who knows Odum is innocent. He pops up in London to help out his friend. A new character joins the circus, aging fed Curtis Ballard (Steve Kazee) who in 2001 was sent to Prague by the FBI to arrest Dmitri. He sees a current photo of Odum and heads out to Europe. The reinvented Legends is a maddening puzzle. It's exhausting. But also thrilling. The drama's structure is a handful, flitting rapidly among three, four, five locations and time periods. But somehow, at the end of each episode, the pieces fit together and make sense - only to raise new questions. Fans of spy yarns will lap up every second. Season Two premieres at 10 p.m. Monday on TNT.